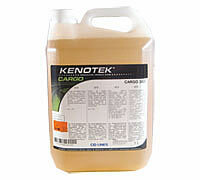 Carclean is a highly concentrated alkaline cleaning agent used for high pressure cleaning. It is very efficient (it should be a 1-2% concentration). To clean cars, lorries, buses, tractors, machines used for agriculture and also all alkaline resistant surfaces (tents, floor and so on). Foodclean is a highly concentrated alkaline cleaning agent and disinfectant based on active chlorine used for high pressure cleaning. It is very efficient (it should be a 0.5-2% concentration). To clean and disinfect tables, floors, walls, working surfaces and much more. To clean aluminium, water hardness resistant and does not foam. Food foam is a highly concentrated alkaline cleaning agent and disinfectant based on active chlorine. Used with foam injectors KR-SI1. It is very efficient (it should be a 2-5% concentration). 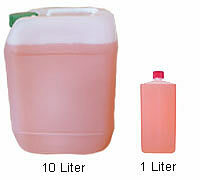 To foam clean and disinfect in the foods sector and agriculture. Excellent fat and protein solvent, foam stable, easy to rinse off, water hardness resistant. Acid foam is a highly concentrated, acetous special cleaning agent. Used with foam injectors KR-SI1. 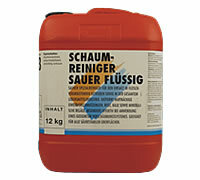 Removes persistent protein soiling, rust, lime and lime stone. 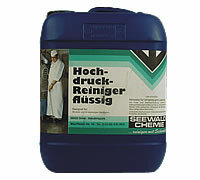 Cleans all acid resistant surfaces in the foods and sanitary sector. Highly concentrated , foam stable, acts autonomously. 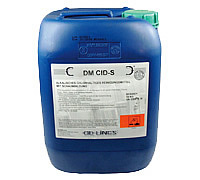 It complexes and disperses the agents responsible for the hardness of the water. Kalk-Ex prevents lime scale in heating coils and pipelines. Useable till 150°C.